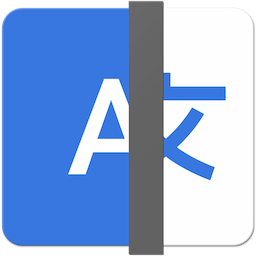 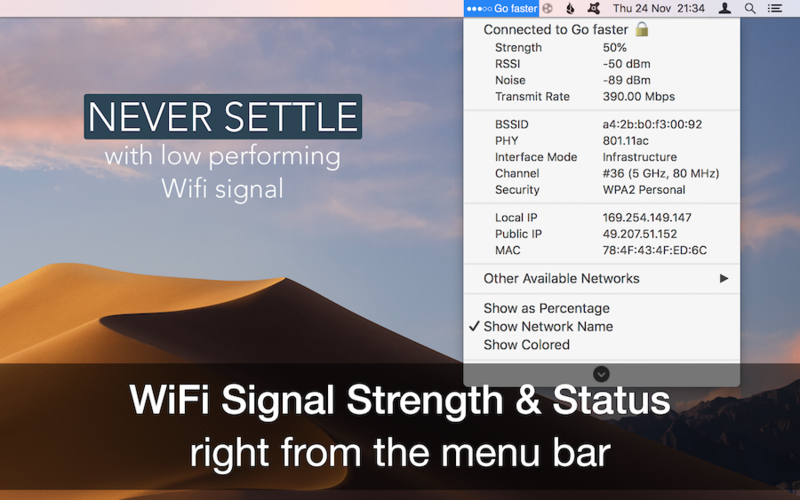 Glance Wireless signal strength with beautiful dynamic icons with simple and real-time WiFi signal strength connection in your menu bar. 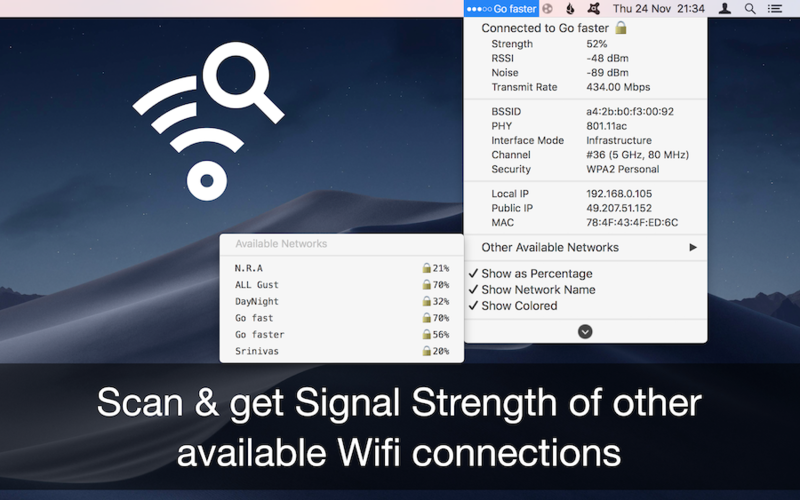 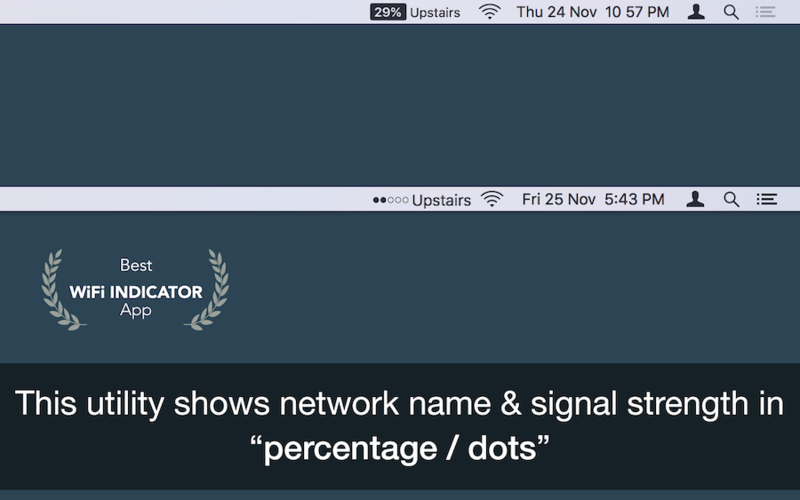 Automatically connect to the strongest available WiFi signal with strength indicators in percentage color formats. 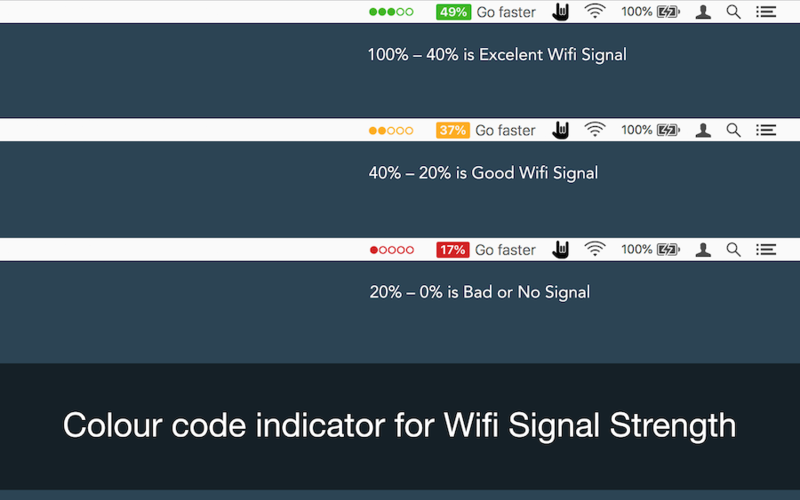 Green - Strongest, Yellow - Medium and Red - weak. 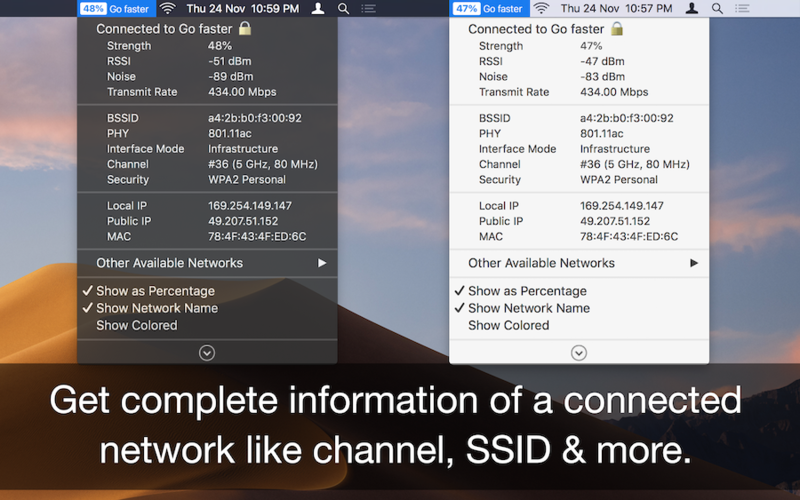 Beautiful interface with complete details of detected signal like Channels, BSSID, Vender, Channel Bandwidth, IP address, Mac address, RSSI, Noise, Transmit Rate, PHY, Security, etc.